My first Bill Bryson book, which lead to all the others. Recently reread it on a holiday – it is holding up pretty good, though parts of Europe have moved on a bit in 25 years (the lifting of the Berlin wall and the wars in Yugoslavia have yet to happen, for instance.) Highly recommended when you need to relax and laugh a bit. There is this curiously durable myth that the European trains are wonderfully swift and smooth and a dream to travel on. The trains in Europe are in fact often tediously slow and for the most part the railways persist in the antiquated system of dividing the carriages into compartments. I used to think this was rather jolly and friendly, but you soon discover that it is like spending seven hours in a waiting-room waiting for a doctor who never arrives. You are forced into an awkward intimacy with strangers, which I always find unsettling. If you do anything at all – take something from your pocket, stifle a yawn, rummage in your rucksack – everyone looks over to see what you’re up to. There is no scope for privacy and of course there is nothing like being trapped in a train compartment on a long journey to bring all those unassuageable little frailties of the human body crowding to the front of your mind – the withheld fart, the three and a half square yards of boxer short that have somehow become concertinaed between your buttocks, the Kellogg’s cornflake that is teasingly and unaccountably lodged deep in your left nostril. It was the cornflake that I ached to get at. The itch was all-consuming. I longed to thrust a finger so far up my nose that it would look as if I were scratching the top of my head from the inside, but of course I was as powerless to deal with it as a man with no arms. I thought of this as we went tracketa-tracketa across the endless Austrian countryside and I laughed out loud – a sudden lunatic guffaw that startled me as much as my three companions. I covered my mouth with my hand, but more laughter – embarrassed, helpless – came leaking out. The other passengers looked at me as if I had just been sick down my shirt. It was only by staring out of the window and concentrating very hard for twenty minutes that I was able to compose myself and return once again to the more serious torments of the cornflake in my nostril. This entry was posted in Uncategorized on February 27, 2012 by Espen. 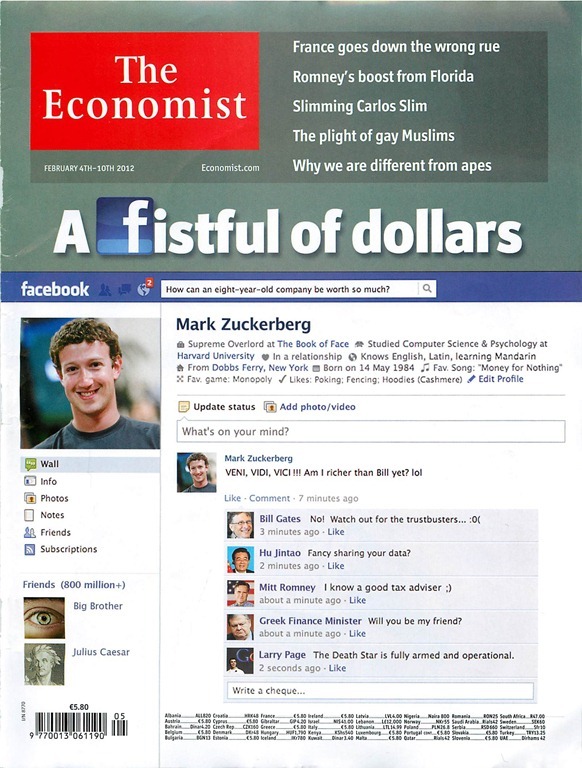 This entry was posted in Business as unusual, Nerdy ruminations, Technology strategy on February 14, 2012 by Espen. 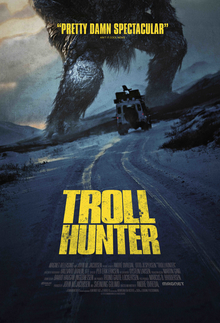 The Troll Hunter is a mockumentary about three film students from the Volda regional university, who tracks Hans, a mysterious figure they first think is a bear poacher. It turns out he is an official, secret, government-employed troll hunter, charged with tracking down and killing trolls that escape their reservations (fenced in by power lines, no less). – I’m a Muslim, is that all right? The movie is rather low-budget, but with surprisingly good CGA of trolls of various kinds. The best parts are the carefully worked out troll details (including a great mock-scientific explanation for why trolls either turn to stone or explode when they are exposed to sunlight), and all the various mechanisms and technologies the Troll Security Service and Hans the Troll Hunter have come up with to manage them. Like most good Norwegian movies, it subtly makes fun of its characters, from the semi-ambitious film students to the stone-faced bureaucrats trying to hide the fact that trolls exist. It carefully balances satire with a just enough of a touch of action/horror movie to stop it from being too local or too snarky. Enjoy! Max Manus was the action-oriented, slightly irresponsible leader of the Oslo Group, one of the foremost resistance groups in Norway. He sees his friends gradually being killed by the Germans towards the end of the war, but manages to effect significant damage (blowing up troop transport ships, destroying the national labor archive) in return. The movie is action-filled and exciting, yet rather low-key: Some of the most exciting episodes, which would have made for excellent material, is deliberately left out. (One example is Kolbein Lauring (one of Manus’ close collaborators) escaping by gunfire and hand grenades from a patrol trying to arrest him in his home.) 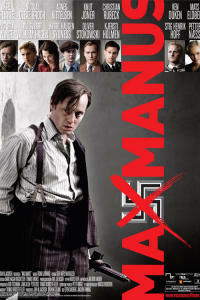 Excellent performances by Agnes Kittelsen as “Tikken”, Manus’ later wife; Nicolai Cleve Broch as Gregers Gram, Manus charismatic best friend; the German actor Ken Duken as Gestapo chief Siegfried Fehmer; and perhaps best of all, Knut Joner as Gunnar Sønsteby, the 26-year old (at wars end) brain behind most of the resistance in Oslo, who thanks to his anonymous appearance and brilliant memory could move all over Oslo and southern Norway managing hundreds of resistance fighters and more than two score false identities. The movie draws very believable portraits of the various characters, showing their heroism and the toll the actions take on them, both in terms of comrades lost and nightmares endured. Most Norwegians have some memories from grandparents and parents telling about the war. Much of the movie is shot on location – the entire main street of Oslo was changed into its 1940 appearance for one scene, including flying a Nazi flag from the Parliament building. This makes it very real for most of us, including me (my grandfather was in the resistance and was tortured by the Gestapo, an experience which left its tracks, and was in a concentration camp from 1943 to the war’s end). Norway is a small country: I have met Gunnar Sønsteby on a few occasions, have walked the streets and been in some of the buildings where the actions took place, and when the saboteurs paddle in canoes to blow up ships, the go right by the house I live in. The movie is accurate, exciting, sad, and makes an impact. Highly recommended! Elling, nominated to an Oscar for best foreign language film in 2002, is something different altogether. It tells the story of Elling (brilliantly performed by Per Christian Ellefsen) and Kjell Bjarne (equally brilliantly portrayed by Sven Nordin), two nervous middle-aged boys released from a psychiatric hospital to make their way in the world with the assistance of social worker Frank and eventually their neighbor Reidun and former poet Alfons. It is based on a novel by Ingvar Ambjørnsen, on of Norway’s foremost authors. Elling is one of those movies that create language – you can refer to someone as an “Elling” or “Kjell Bjarne” in Norway and people will understand what you mean. Both men suffer from anxiety attacks and various phobias, and create little stratagems to manage their tentative entry into society. Elling is an overintellectualized shut-in with a mother complex and a cleaning mania, secretly dreaming about becoming an undercover poet. Kjell Bjarne is a shy giant, traumatized by abusive parents, who admires Elling and wants to listen to his fantasies, but also represents the voice of reason, entering into a relationship with the neighbor upstairs and helping Elling gradually explore the world outside their apartment. The movie is howlingly funny in a very low-key fashion, making each of Elling’s small victories (managing to go to the store, having dinner in a restaurant, going to a poetry recital) feel as real to the audience as it does to the character. The characters are frequently humiliated, but manage to maintain a shaky dignity through it all, to a satisfyingly happy conclusion – helped by a seemingly aloof social worker who for once is not portrayed as a monster. If you feel down in the dumps, this is a terrific pick-me-up movie, enjoyable from start to finish. 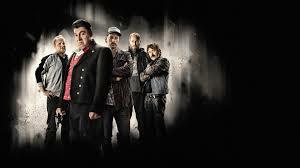 Hawaii, Oslo; Buddy and Lilyhammer I recommend with some reservations. The first is an intense magic reality movie about a character who feverishly tries to stop a bad event from happening. I remember it as great – but I don’t remember much about the plot. Buddy is a story about a group of friends who has to deal with sudden fame, again an enjoyable movie about which I have forgotten the plot – though I liked it. Lilyhammer is downright weird – a TV series about a New Jersey gangster (Steven van Zandt) who moves to rural Lillehammer, Norway, (chosen because he liked the scenery from the 1994 Winter Olympics) as part of a witness protection program. The concept is great, but I am not sure how well the jokes would play outside Norway – and I thought Little Steven’s performance a bit wooden and the jokes rather lame even in Norwegian. Norwegian rurals can be easy to make fun of, but they are not as inbred as comes over in this series. But it is is available – in fact, coproduced with – Netflix and, well, chacon ca gout, I presume. This entry was posted in Notes from a small country on February 12, 2012 by Espen. This entry was posted in Humor on February 10, 2012 by Espen. I have just finished (as a matter of fact, I am writing this from the classroom while the students are taking their exam) teaching a two-day seminar called Competing online at Lorange Institute of Business, located in Horgen, a small town about half an hour south of Zürich in Switzerland. Teaching is normally quite tiring, but this time it was a breeze – firstly because it was only 9 students, secondly because they all had interesting experiences and viewpoints on how to use the Internet and Web 2.0 for business and personal purposes. 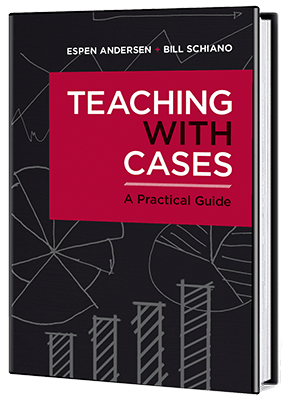 As a consequence, I could run the class as an informal discussion, with less lecturing and quite a bit of learning for me as well as the students. The diversity of backgrounds was quite interesting – we had three people that owned their own companies (technical textile manufacturing, logistics, and personal credit), three from pharmaceuticals and health companies, one from sports event marketing, one executive from a hotel company, and, last but not least, Isabella Löwengrip, who with her blog Blondinbella could provide very interesting perspectives on how to establish and promote a business on Web 2.0. She did, of course, blog (here and here and here) and Tweet about the experience, occasionally in real time – and she took the pictures you see here. Linus Murphy, lively and inspiring CEO of Masterstudies.com, was the main case under discussion after lunch on the first day – and he did a great job talking about the importance of making your company findable on Google. To do this, you have to make sure your content is fresh and not duplicated, that each page is about one thing only (so the search engine is not confused) and design the structure and context of the web site before handing it over to be made pretty by a designer. When most of your traffic is driven by search, you must be both findable and searchable. This entry was posted in Business as unusual, Digital reflections, Electronic Commerce, Teaching, Technology strategy, The thoughtful manager on February 8, 2012 by Espen. Right now I am blogging from the classroom at Lorange Institute of Business – as a demonstration. Fun! This entry was posted in Blogging on February 8, 2012 by Espen.